Hm, long time without a post, and this won't be much of one. Basically I rode up to the Summit Store for a nice lunch. While I haven't posted anything in months, I've been riding quite a bit. Since the time changed I've been riding home from work fairly regularly. In the last few weeks I've extended the ride a little by heading over Mt. 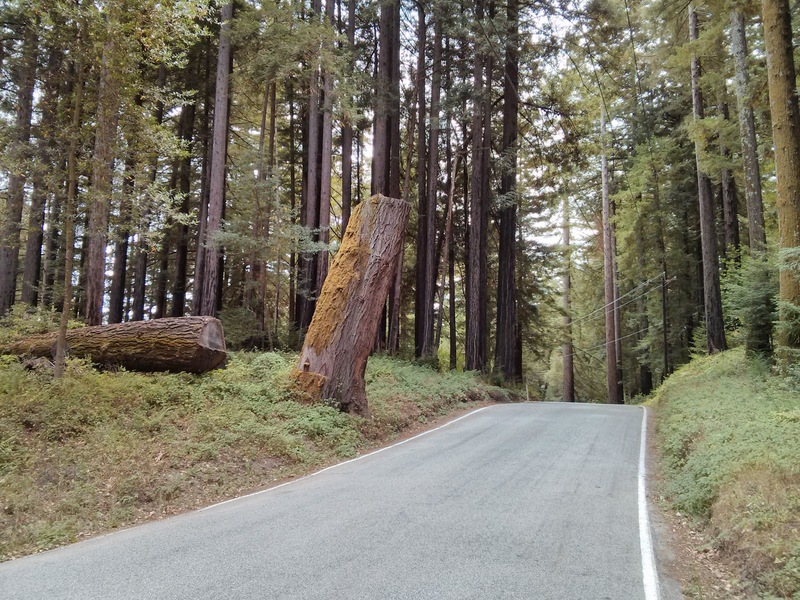 Eden Road, Pierce Road and Kennedy, for a total of about 1800 feet of climbing. Not bad for a weekday, but at the same time not much to write about. Nothing much new on this ride, just getting reacquainted with the old route from Los Gatos up Old Santa Cruz Highway. I spun the wheels on the steep bit of the Los Gatos Creek trail and had to walk up; maybe that was due to its dustiness this late in the season, or maybe just being out of practice. Other than that, not much has changed over the summer. After enjoying half a Full House at the Summit Store, I took the Morrell cut-off back up to Summit, then just headed home. While climbing up Kennedy I took South Kennedy for a change, and decided to follow Phillips Road to see where that took me. Otherwise, just back home. Today's ride was about 41 miles, with 3400 feet of climbing. The hardest kilometer was climbing up the Morrell Cut-off. I very much enjoyed a ride without the constraints of the commute, but these may continue to be very rare while that's going on. We'll see what happens when the time changes.